You've seen the car, now CBS has released a real trailer — instead of the behind-the-scenes-one we saw two weeks ago — for their re-imagining of Hawaii Five-O. Good news: the theme music's the same. Also, so's the name. Excellent. The new reboot focuses on the members of a special forces team investigating crimes in Hawaii, the 50th state and appears to even include the signature catchphrase of "Book 'em, Dan-o!" The show features Alex O'Loughlin, Scott Caan, Daniel Dae Kim, Grace Park, Jean Smart and Taryn Manning. 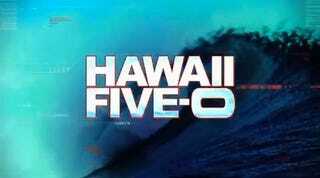 The remake of "Hawaii Five-O" is created by Star Trek writers, Alex Kurtzman and Roberto Orci and "CSI: NY" executive producer Peter Lenkov.